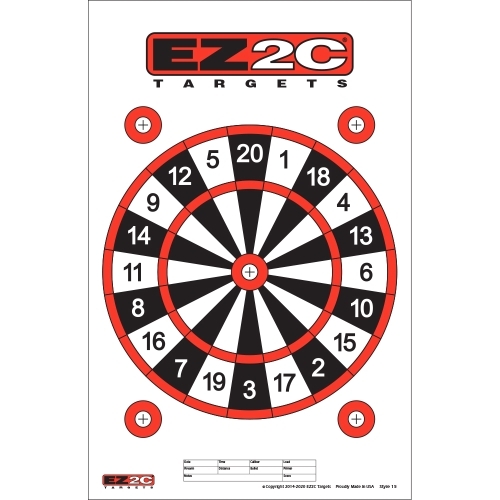 Shoot at this EZ2C Dartboard. Target style 15 is a 10" board equally divided into twenty radial sections. Targets are on 11" x 17" High-Quality Bright White Paper. They are Conveniently Packaged with 25 Paper Targets per Pad.